Anne Lamott, popular and New York Times bestselling author, who was inspired to write Stitches: A Handbook on Meaning, Hope and Repair after hearing about the incredible loss of children and teachers at Sandy Hook Elementary School in Newtown. Scarlett Lewis, mother and author of Nurturing Healing Love: A Mother’s Journey of Hope & Forgiveness, who shares her story following the death of her 6-year-old son, Jesse, who was killed in the Newtown tragedy. Scarlett Lewis, mother and author of Nurturing Healing Love: A Mother’s Journey of Hope & Forgiveness, who shares her story following the death of Jesse, her 6-year-old son who was killed in the Newtown tragedy. We at The Women’s Eye are honored to be a radio program and website for women to connect with one another and to be able to spread the word about so many amazing people. In remembrance of the one year anniversary of the Sandy Hook Elementary School shootings in Newtown, CT, The Women’s Eye Radio Show (TWE) will air two special interviews with authors Anne Lamott and Scarlett Lewis at 3 PM MST on 1480KPHX in Phoenix on December 14th and 15th. Host Stacey Gualandi speaks with Lewis, mother of 6-year-old Jesse, a Sandy Hook Elementary School shooting victim. She is the author of “Nurturing Healing Love, A Mother’s Journey of Hope and Forgiveness” (Hay House Publishing), a book about her grief, her conscious decision to heal and forgive, and her commitment to cultivate nurturing, educational programs in schools that will teach children how to manage anger. 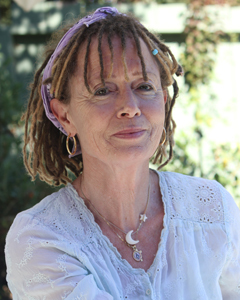 Intertwining the spiritual connection between healing, well-being and happiness by choice, TWE will also speak with recent Oprah guest and nationally-acclaimed New York Times bestselling author, Anne Lamott. Deeply affected by the Sandy Hook Elementary School tragedy, Lamott will share her personal experiences in finding meaning in the face of violence, as documented in her new book “Stitches: A Handbook on Meaning, Hope and Repair” (Riverhead Books). As the Founder of JesseLewisChooseLove.org, Lewis’ interview also focuses on her work to battle mental health issues. Partnering with school educators, Lewis is providing mindful curriculum in anger management, communication and nurturing skills, aimed at helping future generations in the fight against violence. “This whole tragedy started with an angry thought. I pictured Adam Lanza as a little boy with this one angry thought in his head, which is totally normal, except that Adam didn’t have the tools to deal with it. He decided to blame his parents, his teachers the students . . . he became a victim of his own blame, and I believe prolonged victimization leads to rage. . . . but a thought can be changed,” says Lewis. This special program from The Women’s Eye is available on iTunes. About The Women’s Eye: Pamela Burke has been a Producer and/or Executive for NBC, LIFETIME Cable Network, USA Network, Gannett, King World and CBS, A&E Cable Network and DISCOVERY Planet Green. Industry insider Stacey Gualandi is currently a Reporter for KTNV, the ABC affiliate in Las Vegas. Her credits include Inside Edition, TV Guide Network, Hallmark Channel, and EXTRA. The Women’s Eye website launched in 2010 to share the positive work of women throughout the globe. Listen to more interviews from The Women’s Eye Radio on iTunes. For more information or to arrange an interview with Pamela Burke or Stacey Gualandi, contact The Women’s Eye Radio Show at thewomenseye(at)gmail(dot)com or call Carrie Hill, Publicist at 757.621.9319. 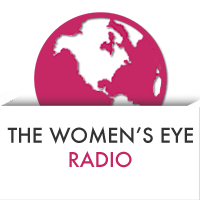 The Women’s Eye Radio The Women’s Eye Radio THE WOMEN’S EYE features all types of women who are in the news or who are making their own headlines as they follow their passions and interests to improve their lives and the lives of others.